Under the direction of Atlee, Thalapathy 63 is growing to strengths and strengths, with the passage of each day. After roping in Nayanthara to pair opposite to Vijay, the movie hasn’t missed opportunities to send exciting news reports to media. Now, we have one such an inspiring news report hitting the corner, with makers announcing the inclusion of Bollywood star Jackie Shroff inside the camp. 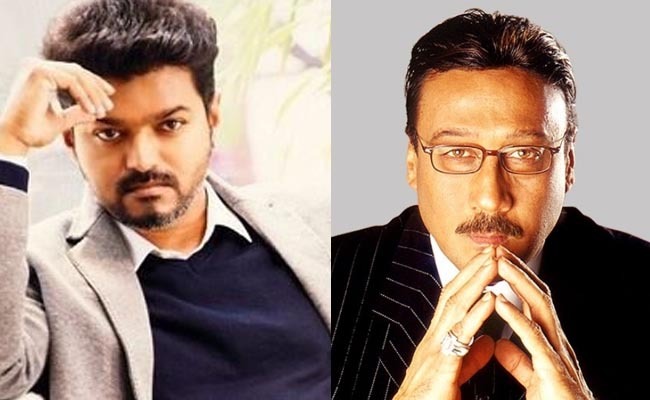 Going in line with the reports, the veteran star would be essaying the main villain’s role in Thalapathy 63. It is yet to be known about the plans of makers in positioning a stylish star like Jackie Shroff in the project. Conceived as a sports thriller, the movie would see Vijay becoming a coach to women football team. Kathir, Vivek, Daniel Balaji and Yogi Babu essay other important roles in Thalapathy 63. What makes Tiger Shroff quite happy these days..?